Pre workout supplements have been around for decades, but they are currently more popular than ever. Traditionally seen as something used exclusively by bodybuilders, pre workouts are increasingly being taken by regular gym goers. 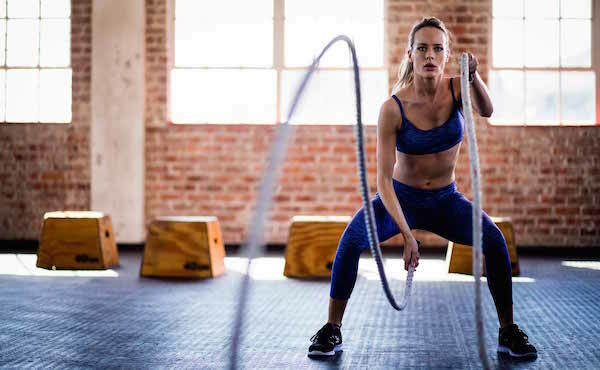 While many women still tend to avoid them, this is slowly changing as more and more women take resistance training more seriously. Because of this, many supplements companies are creating pre workouts that are more suitable for women, ones that don’t promise to boost testosterone, or build huge muscles. Instead these pre workouts promise to help burn fat, build toned muscles, and improve energy, and mood. This is partly a marketing ploy, but all of the benefits that they mention are real and can apply to both men and women. In this guide we are going to look at the benefits of pre workouts for women, what ingredients you should be looking for in your supplement, some of the best pre workout supplements for women, and we will also be dispelling some common myths regarding pre workouts. There are a surprising number of benefits to taking pre workout supplements, many of them apply to all products, but some benefits are specific to certain types of pre workout. A pre workout may target fat loss, or cognitive performance, or mood, as well as improved workout performance. In this section we will examine some of the most common benefits to taking a pre workout. One of the most commonly sought after benefits to a pre workout is increased blood flow. You want this as it will not only improve your training performance, but it will also help you to deliver more blood to the muscles – which can help them to grow stronger after a workout. Increased blood flow leads to more nutrients delivered to the muscles, which means better recovery, and better results. Increasing your energy is the number one reason to take a pre workout, the majority of pre workouts are stimulatory meaning that they affect the central nervous system, and produce a rush of energy. You can also find pre workouts that contain ingredients such as creatine that can increase the amount of energy stored in muscles. Similar to the increase in energy, a lot of people take pre workouts to banish fatigue, particularly those who are training very early in the morning or just after a long day of work. Caffeine for example can increase your energy through raising your metabolism, but it can also temporarily remove the effects of fatigue . Your RPE is the rate of perceived exertion for an exercise. So walking 20 meters would be a 1/10 while deadlifting three times your body weight would be a 10/10. Many pre workouts can help to reduce your perception, making a 10/10 exercise an 8 or 9/10 exercise (or even lower). Again this is mostly thanks to the caffeine content. Lowering your RPE is a really good way to allow you to train harder, and for longer than you usually would. 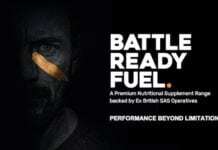 Partly due to caffeine’s affect on RPE, but also due to ingredients such as Beta Alanine, Citrulline Malate, Creatine, and many others – almost every pre workout on the market should massively help increase your endurance, this can be really good for sports performance, but also for anyone training for hypertrophy. Women who want really toned muscles and lower body fat often train for endurance, so a pre workout would be perfect. A lot of the ingredients present in pre workouts also have benefits for mental performance, particularly creatine and caffeine. Increasingly, supplement companies are adding Nootropics to their ingredients lists so as to stand out from the crowd. Many pre workouts now boast improvements in memory (short and long term), decision making skills, mood, and focus. This can help you train harder in the gym, but it could also help you work harder in the office or at home. This may not sound appealing to some women, with the idea of huge muscles and testosterone being the antithesis of what they want. But remember power, is not a measure of size. It is about performing an exercise with speed and strength. A powerful woman does not need to be muscle bound, they just need to be efficient. Pre workouts can help with that. If you are interested in Crossfit, or Olympic lifting then you will know how useful power can be. Many fat burners and pre workouts are so similar that they have become one and the same. The same ingredients that raise the metabolism (to burn more fat) also tend to have an effect on performance. So a good pre workout should be able to help someone train hard in the gym, while burning just a few more calories than normal. So long as this is in line with your original goals, it is a huge benefit. What ingredients should be included in a Pre Workout? There are two types of pre workout, stimulatory and non-stimulatory. The latter is a useful supplement to take if you are trying to rebuild your tolerance to caffeine or similar ingredients. The ingredients in this list, are almost all stimulatory though as they are the most effective. The ingredient that we discussed again and again during the benefits section of this guide. Caffeine can increase your metabolism, burn fat, increase power, increase endurance, increase focus, lower RPE, and remove fatigue. A truly perfect pre workout ingredient. A common pre workout ingredient, Beta Alanine has been shown to increase muscular endurance, improve anaerobic performance, reduce fatigue, increase power output, and reduce body fat . Used to increase nitric oxide, increase training volume, reduce muscle soreness, and reduce fatigue. It can also increase blood flow due to the increased nitric oxide levels (which dilate blood vessels). Creatine is a really great supplement to take, and it has many benefits. Mostly it is good for increasing power, increasing muscular endurance, and anaerobic performance, but it can also help increase hydration – which is great for working out. You should take around 5g per day, so check the label to see how much is contained per serving. You might need to top up with a pure Creatine supplement too. A lesser known ingredient, that is becoming more and more popular Betaine is an extract from beetroot. It works similarly to Creatine and can increase endurance, reduce fatigue, and increase power. A vitamin that can help with energy metabolism and may also improve focus during a workout, it will work better for people who are already deficient in Vitamin B12. Mostly added for its fat burning properties, green tea extract can also increase blood flow, and improve cognition. Making it a great all round ingredient for a pre workout. There are many myths surrounding the use of pre workouts, and plenty of misconceptions. In this section we are going to address some of the more commonly believed ones, and try to dispel them once and for all. This myth is an easy one to understand, because there are quite a few pre workout supplements out there that are specifically designed for men. They contain ingredients that are designed to boost testosterone levels, increase libido, and reduce oestrogen. Obviously there aren’t many women who want this – though you’d be surprised as to the benefits that low increases in testosterone can create for women (reduced body fat being a big one). Luckily the majority of pre workouts are unisex, and there are even some that are designed for women. Stimulatory pre workouts CAN affect your sleep, if you take them late at night. Remember that most of them contain huge doses of caffeine – you wouldn’t drink a double espresso just before bed now would you? But if you are taking it more than 6 hours before bed time then it won’t have any negative effects. 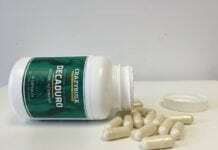 In fact it may benefit it, as it will increase your exercise performance which can increase melatonin. If you workout very late then you can always take a non-stimulatory pre workout. This has been an issue in the past, and if you are a professional athlete you should absolutely make sure that your pre workout is not on the banned list. What you have to understand is that 99% of supplements are perfectly legal, it is only when the law changes that those ingredients suddenly become illegal. Many pre workouts used to contain ingredients such as Ephedrine, before it was made illegal to buy. 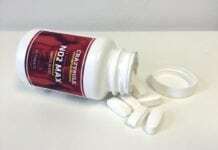 Buy brand new supplements rather than 2-3 year old supplements off ebay. If you want bigger muscles then a pre workout can help you achieve it, but just taking a pre workout supplement will have no effect on muscle size. In the same way that buying a fancy car will make you drive faster. You have control over what you want to achieve, and your pre workout can help you get there. Most pre workouts contain around 2-20 calories per serving, this is because the ingredients contained within are in very low doses. This means that taking a pre workout during a very restrictive diet is not only a safe option – it is a very sensible one. The only thing you should consider is keeping your caffeine intake very low outside of training (otherwise you’re consuming too much which will lead to a very high tolerance). You should be taking a pre workout supplement around 30 minutes before your workout, but this includes warm ups. So you could take it 5-10 minutes before walking into the gym, then you can put your bag away, get changed, and do a small warm up. Hopefully your pre workout should be kicking in just around the beginning of your first proper set. If your pre workout contains creatine then find out what dosage, anything less than 5g and you should consider supplementing with some more (pure) creatine monohydrate – preferably after your workout. Anything more than 5g and you should make sure that your post workout supplement doesn’t contain any, as too much creatine can lead to stomach bloating. If you are a woman looking to train for a sport or athletic event then you should absolutely be taking a pre workout. If you are training for Crossfit or powerlifting or bodybuilding then you should definitely be taking a pre workout. If you are training to lose weight or to “tone up” your arms, legs, and abs, then you should be taking a pre workout. There isn’t really a scenario where you wouldn’t benefit from a well timed pre workout. Get the most out of each session, and enjoy the feeling of a top notch workout. If you want to look good, lift heavy things, run fast, feel fantastic, and lose unnecessary body fat, then check out our recommended pre workouts. There are hundreds if not thousands of different workout supplements designed for both men and women to help boost their workouts. With our busy lives these supplements are designed to give you that little extra energy to complete your workouts after a busy day in work, or having looked after your children all day. While there are plenty to choose from, they are not all the same, with some offering different benefits to others. So, which pre workout would we recommend for women? Our choice may surprise you as it is not strictly a pre-workout, but also offers an intra-workout and post-workout too. 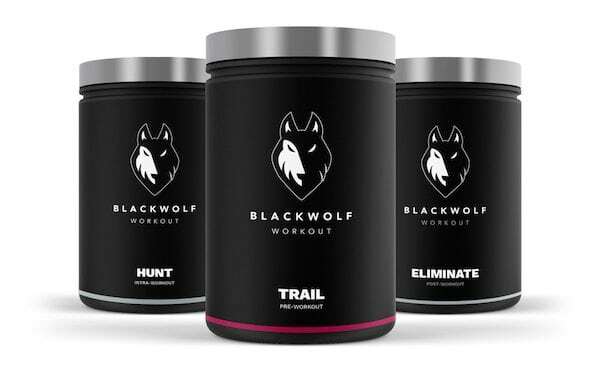 Our choice is the BlackWolf Huntress package, which is an all-in-one workout formula designed specifically for women (there is a male package too called the Hunter package). This package contains 3 products, Trail (pre-workout), Hunt (intra-workout) and Eliminate (post-workout). Each supplement is designed to keep your energy levels high, both before, during and after your workout, leaving you feel energised and revitalised throughout. You can buy the BlackWolf Huntress package for £64.95($82.95), with each order containing an exclusive BlackWolf shaker that is designed to help you prepare each product easily and in style. Your package also includes 5 essential premium guides that have been designed to help you achieve your fitness goals, whatever they might be. There is also free worldwide shipping included, secure payments as well as a 14 day money back guarantee. If you are in any doubt, just give BlackWolf a try, I am sure you will be happy with your results. Please reply below using our comment form with your experiences. Is your recommended preworkout available in Australia?